Krispy Kreme's Chocolate Glazed Donut features a yeast ring donut covered in chocolate glaze. They go for about $1 but I received this courtesy of Krispy Kreme. After a couple of limited-time runs, the Chocolate Glazed Donut is now available for one day a month on the first Friday of each month. 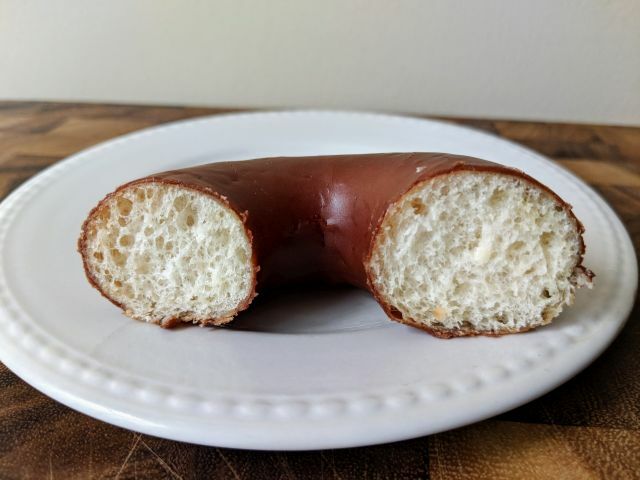 They're similar to the regularly available Chocolate Iced Donut but, in addition to generally being fresher (as they can come right off of the conveyor), they aren't as sweet given the single layer of chocolate glaze rather than a layer of Original glaze topped off with chocolate icing. 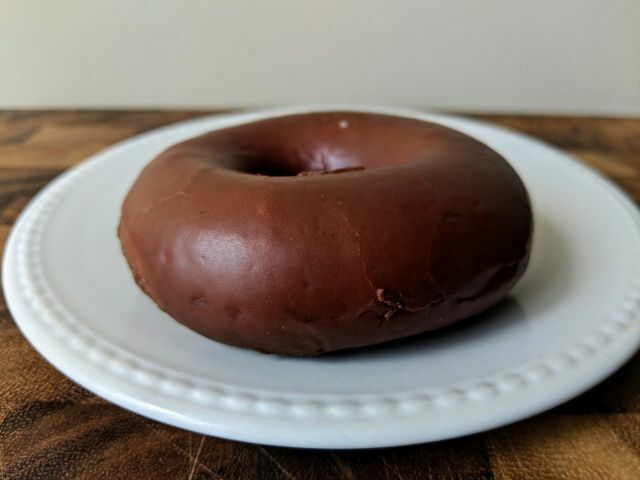 The chocolate glaze seems to be the same stuff as you find in other donut shops with a sweet chocolaty flavor that lacks in bitter notes and richness. What sets these apart are the donuts themselves, which deliver on that airy, soft, cloud-like texture that Krispy Kreme is known for. 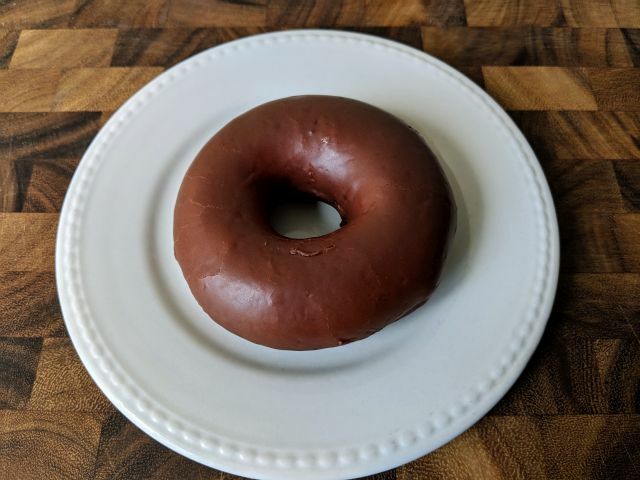 When it comes down to it, Krispy Kreme's Chocolate Glazed Donut offers a familiar chocolaty feeling paired with the chain's specialty and that's pretty good in my book.